The easy Guide Has Been Updated! 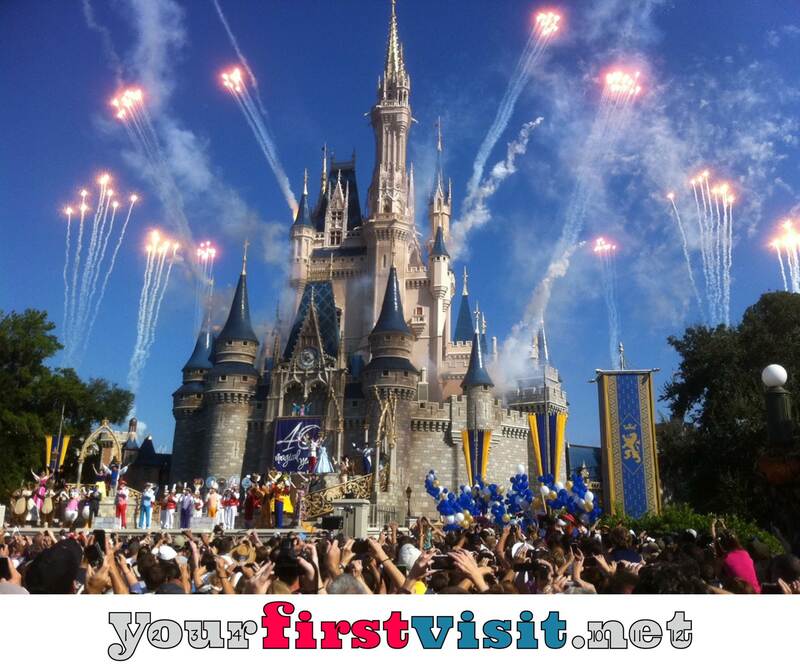 Follow the instructions that follow for your first family visit to Walt Disney World to save thousands of dollars, and avoid dozens of hours waiting in line, while seeing all the best of Walt Disney World! Want a second opinion? Then buy the book! We bought your book and enjoyed it! We see now our planning started too late, but we are committed now! We will be at WDW from October 29 to November 7. My question is about expected crowds. We had real difficulty finding a room on property, Swan and Dolphin also booked. Nothing in moderate, we were lucky to get non standard rooms in All Stars in Movies.. Where would you consider the best area in that hotel to request and with the shortage of available rooms, would you consider it time to go to the the higher crowd schedule? Any other tips? For this November? Hi Brad, the Disney resorts run at ~90% occupancy month in and month out, and thus are not a crowd calendar. For more on this interesting subject, see this. At Movies a room refurb is underway, adding queen beds and coffeemakers to what had been a full bed and no-coffee-maker space, so I would call and request a refurbed room. I love your weeks to visit WDW ranked in order and would really like one for Disneyland!!! I have searched many online hours have not found anything like it in comparison for WDW and there is nothing like it for Disneyland. Do you think this is possible I know the 10.4 million people who visit the smaller park would appreciate rankings as much as I would! Sorry, Jean, I can barely keep up with DIsney World! I’ve narrowed it down to Beach Club Villas vs Boardwalk Villas, and the price difference is a total of $300 more for Beach Club. Can you weigh in on why to choose one over the other? Thanks! Elizabeth, the main difference is that Beach Club has a much better pool. My review of the Beach Club pool is here, and the Boardwalk pool is here. Planning on two days at Disney on November 3rd and 4th. Wanting to do Epcot and Hollywood Studios. I was going to do HS on Sat and Epcot on Sunday but now am second guessing. Also, if we would happen to do Magic Kingdom on Nov. 2 how do you think the crowd levels would be that day (just in case we add an extra day). Thanks for your advice! Katie, because of unusual set of extra magic hours that week, your swap of HS and Epcot will work quite well! And yes, Friday 11/2 will be fine at MK! My husband and I are having a big debate on how to deal with the Full Marathon traffic on Jan 13th. He wants to go early to the park and I want to go later in the afternoon to avoid the traffic. Honestly we have no idea what to expect, however, the last thing I want to happen is to get stuck in a car full of Kids and Mother in a car jam waiting to get into Disney. We plan to visit MK that day. Can you shed your perspective on how we should plan on arriving? Also, what is your estimated crowd level for that week? Seems like all the sites vary from 1 to 7…its confusing…thanks for any help and we love your site! There’s a new set of flyovers at the Magic Kingdom parking entrance, that may make some causes of marathon congestion easier to deal with–it’s hard to say, as this is the first time it’ll be available. You can make either the early morning or afternoon approach work, but you would want to add an extra 30 minutes to your morning drive plan, just in case. That week will be just fine until Saturday 1/19 when you will start seeing MLK crowds. I just got married and my husband and I just spent our honeymoon at disney. We were thinking of joining DVC or just becoming passholders. With the opening of star wars land opening next fall, what do you anticipate as far as crowds? Because we are trying to consider if its wise joining either one for now. We know HS is going to be crazy and we aren’t planning on even going back to that park for a couple of years. But what do you think the other 3 parks will be like as far as crowds? Thanks I just read your response regarding the impact on the parks when star wars land opens. Question: my husband and I were thinking of going back either first or second week of december of 2019 but the travel agent we usually use said a lot of the resorts are already filling up. I know theres not an exact date as of yet, but our concern was even though we’d avoid HS, in the likely event it’ll hit capacity once it opens, would that cause the other parks to get crazy as well as people are turned away? Hey Jennifer, this is absolutely possible. It is not what happened at Harry Potter–people either waited in line or avoided Universal entirely–but it is possible. Jennifer, I love May, especially early May. Note that Memorial Day is early in 2020 (5/25, as early as it can be). Hi Dave, I’m not sure where to ask this question. We’ve been to WDW twice, in 2014 and 15. Now planning late 2019 visit, again for a week. Want to spend 1 day at Universal where we’ve never been, and to go to each of the 4 WDW parks. But there is a question of whether to also include time at legoland, which one of my sons is very interested in. Is this park at all comparable in quality to WDW or Universal? My kids range in age from almost 8 – 13 at that time. Thank you for any advice. I am really thinking of doing only a half day at legoland, but tend to think that once we get there we’d just stay until close b/c that’s what we do. I’m sorry Jane, but I don’t have an opinion on Legoland–I can barely keep up with WDW! Hi Ashley, Disney’s calendar for then is not out yet–it won’t be out through 9/8 for about three weeks. Ping me then–or if you are trying to get 180 day ADRs, let me know, and I can put together a forecast for your dates! Hi Panchena, how many days will you be spending in the parks–or are you thinking just 3/15? Hi Dave! We have reservations at Boardwalk Villas for Oct. 3 – 13, 2019. I know I may be early but I need to make dining reservations April 6 and need to decide which parks I will be in on which days. Any help will be greatly appreciated. Thanks for all you do – your site is wonderful!! Maggie, I’ve been tracking this “early” source of park recommendations for about 6 months now. While I can’t confirm its accuracy until I see Disney’s own calendar, which won’t be out for you dates until April 16, it has been pretty close so far. Thanks Dave – that is very helpful! We’re going to MK for only 1 day on 4/4 staying off-site. Do you think it’s worth doing a themed meal or the BB boutique for the short time we’ll be there? Our 7 y/o daughter is hoping for both! 🙂 Thanks!! Bob, first of all you need to read this now if you have not already. Second with a seven year old MK has easily two days worth of stuff to do. So you are going to miss a lot regardless. Given that, doing a meal and BBB, if that’s what you really have your heart set on, seems to me fine–you will miss even more, but delight her more? Michael, there’s no strong indication either way. The word is that FastPass+ will not “initially” be available, which makes me think they will eventually, but that’s just an interpretation. I have more thoughts on Galaxy’s Edge here and in here.